How I Spent The Morning Of September 11th, 2013. I walked up the steps from the subway and headed down the sidewalk, the Empire State Building in view. That’s where I work, most days of the week, if you don’t know. This morning I was running early, which is unusual. I was checking out a pretty girl walking in front of me, which is extremely usual. Because I was focused on other things, I didn’t notice the commotion at the corner until I walked right into it. A small crowd had formed. In New York, this can mean anything. A troupe of breakdancers. A cluster of political activists. An accident. A drum circle. A runaway sewer wombat. This particular incident was in fact another instance of that most eternal wellspring of rubberneckery: A fight. The man was I think Indian, maybe Sri Lankan. The woman, it turns out, was from Florida. I’ll tell you the rest of the story and then you can decide if those details matter. The man was holding firm to a red suitcase, which the woman was trying to tug away from him. Their equal but opposing grips formed a kind of clothesline, or human limbo bar, which most of the surrounding civilians were dodging as the central struggle swayed back and forth. The woman kicked at the man’s midsection. Once, twice. He grimaced but refused to relinquish his grip. She was shouting. People watched. None stepped forward. A thing about me: If I see a woman struggling against a man, my sympathies instinctively go to the woman. Huge knight-in-shining-armor complex. So I stepped in. I didn’t much want to, and there was enough time for me to consider minding my own damn business and moving straight past. And if it were just a run-of-the-mill New York shouting match, I might have. But witnessing the physicality is what spurred me to action. I stood between the two and made a call for calm. I must have had my Moses mojo working, because both of them promptly stopped screaming, although neither relinquished their hold on the suitcase. 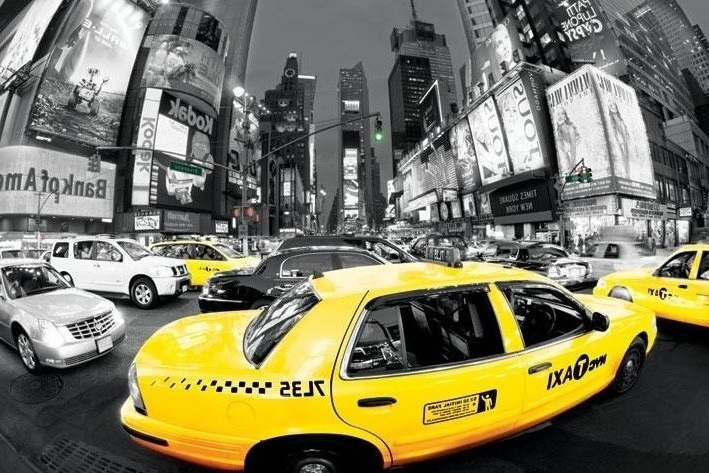 With a quick look around from the inside, the situation quickly revealed itself: A parked taxi cab was stopped in the middle of the three lanes, its hazard lights on, like a pylon in the flow of Manhattan morning traffic. The man was a taxi driver. The woman had been his passenger. 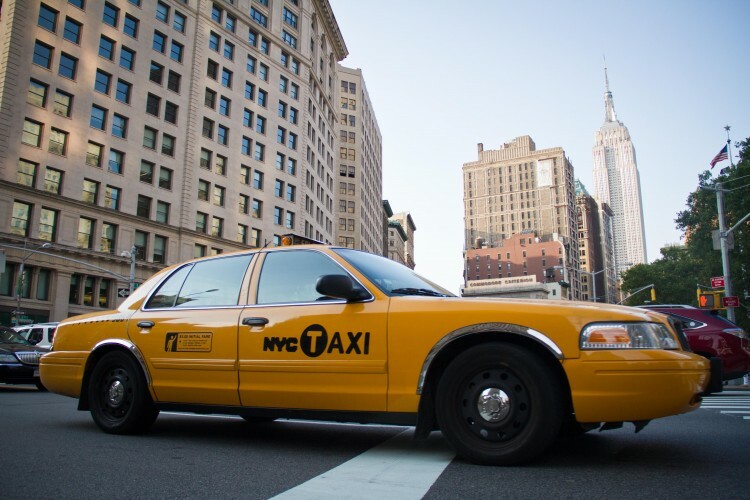 She’d flown in to Jersey and hailed a cab in an attempt to make an important meeting, and she didn’t agree with the route he took. 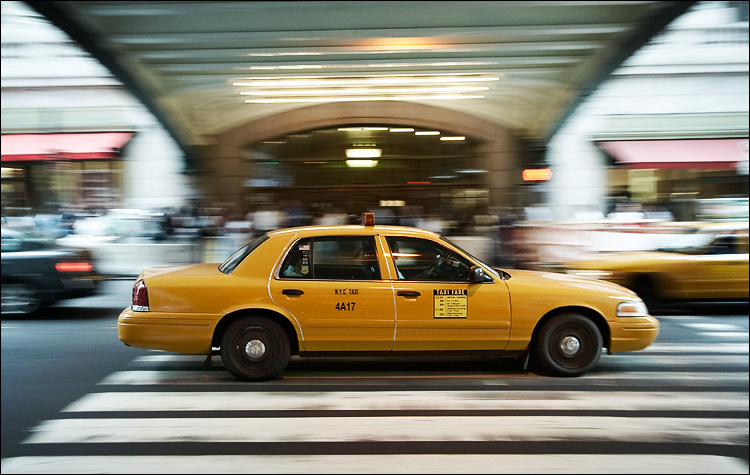 When the cab stopped at a red light, she took her suitcase and got out. 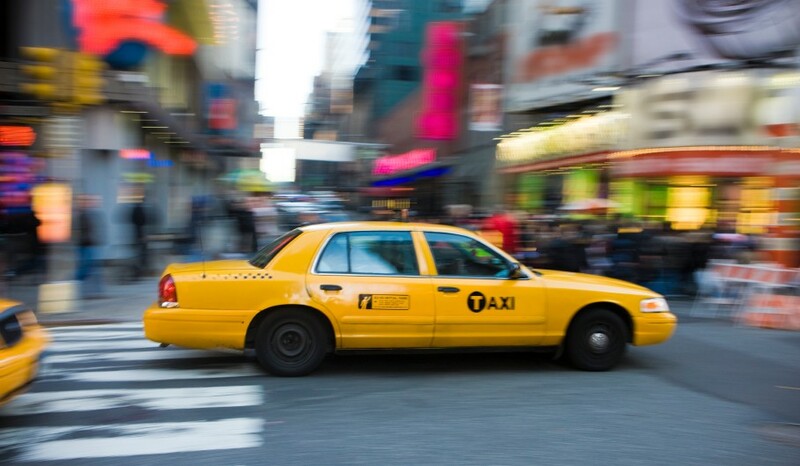 Some of you know that a taxi from any of the airports outside of the city is a pricey prospect. This lady was ducking out on a substantial fare. Not only that, but if you know the first thing about taxi companies, you’d know that the cabbie would have to account to his bosses for the lost time. My point of view immediately shifted. You’d probably have to hear the way this woman was talking to this man. “I can’t understand a word you’re saying.” “Give me back my suitcase.” “Do not touch my suitcase.” “I can’t understand a word he says.” The tone of voice said everything. ”I can’t understand a word he says.” In front of him. To me. To anyone else within earshot. It was the total dismissal of the person she was arguing so viciously with, that rapid turn of the head away from him to talk to anyone else standing nearby, that struck me. The guy had an accent, sure, but he wasn’t that hard to understand, and besides, his claim was totally reasonable. She owed him money. She didn’t like the price — hell, we all get that part — but that didn’t mean she could just kick him and walk away. For whatever reason, both agitated parties were looking to me as the arbiter of the situation, like I was some kind of King Solomon or Judge Judy. All of the other adults on the scene were either staring at the free drama, or yelling their own opinions on the matter as if that’d resolve it. I can tell you for a fact that all of the yelling was being addressed solely to the cab driver. If I didn’t see his side of things nobody was going to. I could understand that it bothered people that he was clamping down on her property, but I could also see why he did it, and that’s why I let him use my phone to call the police. The saddest, most human detail of the entire experience was the way the cab driver and the blond woman both had their hands on the extended handle of the suitcase until the cops finally showed — which, by the way, was almost half an hour from the time of the call. You’d think the fact that a stopped cab was blocking a lane on Madison Avenue, one block from the Empire State Building, might have attracted any of the thousands of cops in the area a little sooner. On this topic, another bystander noted what is of course the subtext of this anecdote, that most potent of calendar dates. You’d think there’d be more cops, particularly at this moment on this day. Both man and woman were tethered to that suitcase. He wanted to go out to the street and move his cab, but he knew that if he did it, the woman would make a break for it without that fare. So we waited. And brother, that was a tense wait. And now, a few hours later, it’s still tense. The officers on the scene, a man and a woman, took each arguer aside separately along gender lines. They had the cabbie move his car and took their statements. They dismissed me from the scene pretty quickly, while that was still going on. This anecdote is not one with a resolution. I don’t know what happened after that. I assume the cops made the lady pay the cab driver and left it at that. At least I hope so. She’ll probably get away with having kicked him. It’s not my job to make her pay for that part. I’m not Batman. (Ben Affleck is.) I did mention the kicking to the cops, but they didn’t seem to care much about the detail. My concern is that, after I left, it turned into a he-said/she-said two-hander, in which case, the refs in the blue uniforms historically tend to side with the blond person. But now we’re getting into the arena with all the vaguely troubling things outside my personal ability to do much of anything at all about. I know, me, right? Me, me, me. This story isn’t remotely all about only me. Maybe it’s more about a couple issues which are way bigger than me. Or maybe it isn’t that at all. Maybe it’s just the kind of dumb thing that happens every day, and maybe I should have stuck with my instincts and minded my own damn business, and maybe the entire reason for that is because I tend to go on these extended post-game philosophical thinking jags. Then again, if you know me well, or even if you pay any attention to my daily Twitter feed, you know that I tend to find myself inside unusual, dramatic, and/or comical situations pretty much on the regular, and maybe there’s a reason for that. Does everything have its reason? I still don’t know, even at my advancing age. Maybe my role is meant to be an embedded reporter in the daily conflagration between the odd and the mundane. I write, that’s what I do. If I can spin these things that happen to me and nearby to me into something readable from which someone can infer some kind of meaning, then maybe that gives my day a little extra purpose. At the very least, it would give some meaning to the fact that this is how I spent this particular morning on this particular day. I’M ON THE COVER OF PARACINEMA #20!